They are tiny and fragile, yet courageous and brave, and one of the most amazing stories anyone can be part of. But if you’re a parent, the NICU journey can be very overwhelming and profoundly emotional. The time spent in the Neonatal Intensive Care (NICU) is something parents never forget. No matter how long the journey was or how medically complicated it became, the emotional aspects can be life altering with the memories becoming defining moments in their lives. The NICU can spark emotions that parents never knew existed, emotions that are so intense that only those who have been through it can truly understand. With all the uncertainty a NICU stay brings, it is difficult to actually take time to celebrate. But it’s important to acknowledge the journey, the emotions, the accomplishments, the milestones, and celebrate them all. WHAT IS THE JOURNEY BEAD PROGRAM? 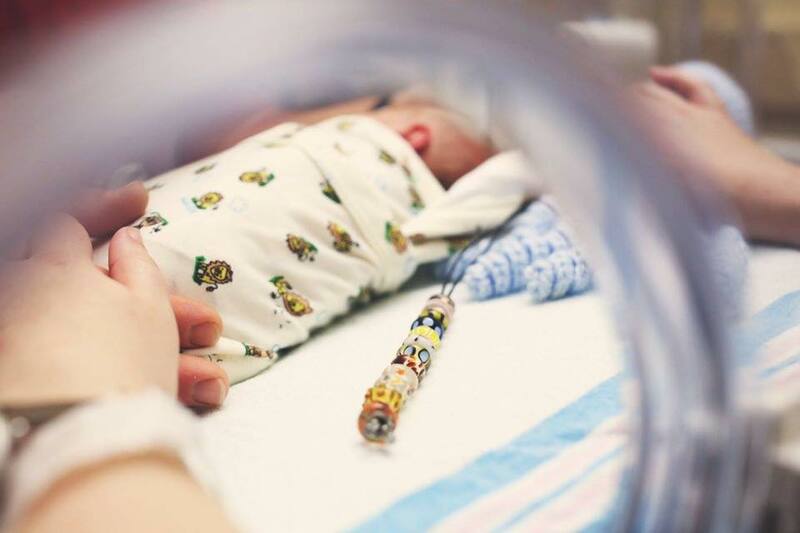 The NICU Journey Bead Program is a family support based program that serves as a connection between parents, their baby, and their healthcare team. It’s the ONLY NICU specific bead program and the first of its kind where the focus is on the celebration of milestones, growth progression, and the parent experience. The program has proven to have an impactful difference, not only for the families but for the NICU team as well. The Journey Bead Program uses special custom hand-made glass beads as a tangible way for parents to record and remember their baby’s story. Each handcrafted bead tells a personal story of strength, courage, hope, and healing. This program offers encouragement and inspiration while celebrating and documenting each new step. It’s a way to recognize the emotions, remember the milestones, and reflect upon the trials and triumphs that make up a NICU journey. 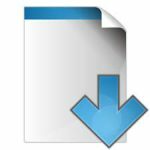 HOW DOES THE JOURNEY BEAD PROGRAM WORK? 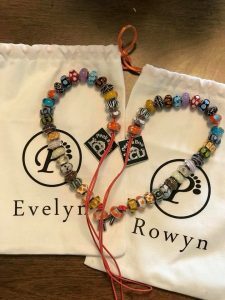 Upon enrollment, parents will receive a special fold-out keepsake bead guide, a leather storyline lariat, along with the Signature Footprint Bead to hang at their baby’s bedside. Colorful customized beads, each representing their baby’s unique and special story will be given and added to the lariat as their NICU journey continues. 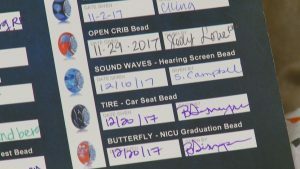 Once their baby graduates from the NICU, they will have a tangible storyline full of beads that helps to document and honor their baby’s journey through the NICU. Their story will be recorded, and it will be remembered in a very special and meaningful way. 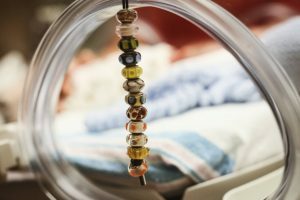 The NICU Bedside Journey Bead program comes inclusive with 20 different glass beads, each representing a milestone. The first bead in the series is a hand-made glass caterpillar and the final graduation bead is a beautiful glass butterfly. The Journey Bead Program gives parents an opportunity to document their story and celebrate the milestones all while understanding their baby’s needs as they grow and develop in the NICU. The program offers an open dialogue for education and provides an engaging way to connect to the human experience in the NICU. Empowering parents and encouraging them to celebrate their baby’s unique story and journey. Family support based program that helps guide parents through what to expect. Helps reduce parents feelings of isolation, provides validation of the emotional experience, and helps to normalize the situation. Provides tangible tools for families to feel comfortable and be confident with their baby. Provides ongoing support, resources, information, and education for families to ensure the best outcomes for the baby and the family. Helps parents bond with their baby through milestones and memories. Helps families communicate with medical staff and advocate for their baby (Human connections). Provides a roadmap to home. Need to know the information to get through the next hour, day, week. Empowers parents to document their story and celebrate their progress. Provides storytelling opportunities in a nurturing environment. -Nursing intervention that shows compassion and empathy while improving communication. -Empowers staff to draw upon clinical intuition bringing excellence in nursing care. -Improving patient satisfaction scores and transforming bedside care. -Platform to develop a bond between parents and the nursing staff by creating a positive, trusting relationship, and a therapeutic alliance between the parent, their baby, and the NICU team. -Tells a story of strength, courage, hope, and healing. -Helps alleviate some of the emotional pain of the NICU experience, helping to decrease stress and anxiety. -A means to record and share their journey, giving a timeline and a tangible way to celebrate each milestone achievement in a positive and empowering way. -Brings comfort in a time of crisis and a sense of joy to their Journey. -Fosters personal connections with healthcare providers, building trusting relationships that enable the parent-nurse bond to develop and grow throughout the NICU journey. -Restores a sense of self, inspiring parents to push on, knowing that they are not alone. Beads have a great history. Dating back 38,000 years, beads have been made from pebbles, shells, teeth, claws, clay, glass and more. The use of beads as a storytelling device is ancient. Pre-literate groups of people all over the world have used visual and tactile clues, such as beads, to help them remember their people’s history. 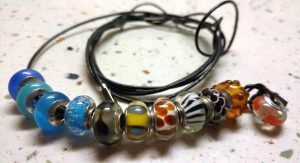 Journey Beads are a way of symbolically representing the stories that are created from everyday moments in the NICU. 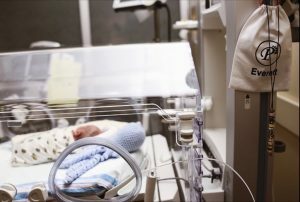 They become mile markers- or “milestone markers”- for parents and staff to stop, reflect, teach, embrace, and celebrate what would have, in the past, been seen as “just another hurry up and wait” day in the NICU. Please keep in mind that this program is not jewelry…and not “just beads“, but much needed support and education that empowers parents and changes the way they view the NICU experience. Studies show that 60-70% of parents of NICU babies have some symptoms relating to Post Traumatic Stress Disorder (PTSD). We have to put an end these scary statistics! 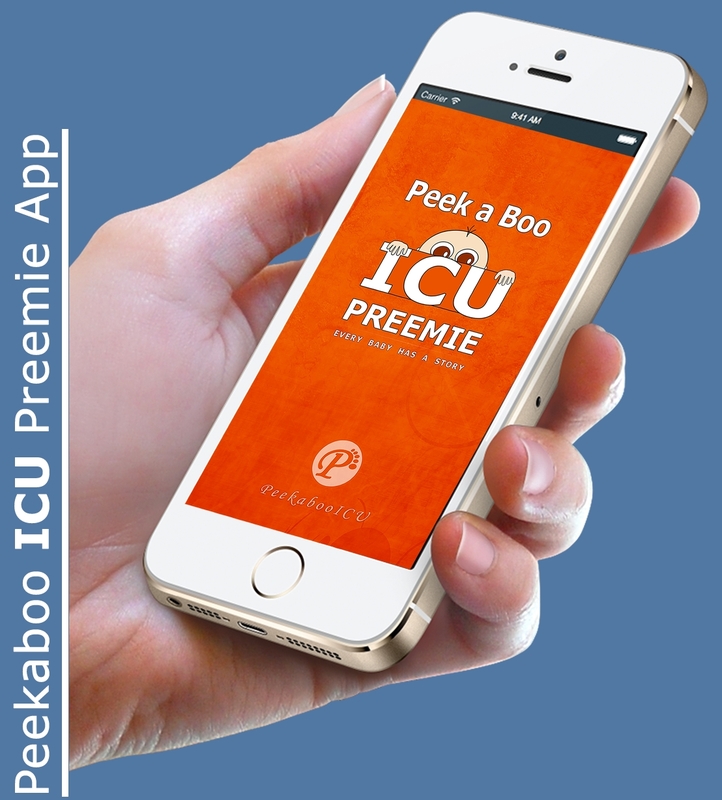 Peekaboo ICU believes that the NICU Journey Bead Program is doing just that. This program is giving families a tangible way to explore their emotions, recognize them, and acknowledge them. The program brings the human experience to the forefront while providing comprehensive educational support, helping to reduce the negative impact a NICU stay can have on a family. The program not only provides this much needed emotional aspect, but it also helps prepare parents to feel comfortable and confident while caring for their baby. Not only in the hospital, but beyond the walls of the NICU in the years to come. I AM INTERESTED IN BRINGING THIS PROGRAM TO MY NICU, HOW DO I GET MORE INFORMATION?